[root@localhost ~]# find /etc -name "ifcfg-eth0"
[root@localhost ~]# find /etc -iname "ifcfg-eth*"
#        shell scripts in the /etc/init.d directory. # Set up a default search path. [root@localhost ~]# find / -maxdepth 4 -a  -name "ifcfg-eth0"
bzip2: Input file /tmp/test/ is a directory. [root@localhost ~]# find /etc -name "ifcfg*"
[root@localhost ~]# find /root/dir1 -name "file5"
[root@localhost ~]# find /root/dir1 ! 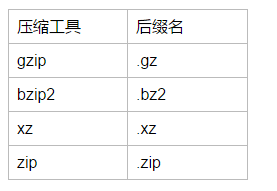 -name "file5"
[root@localhost ~]# find /root/dir1 -name "file5" -o -name "file9"
# zip -r back.zip ./* -x "./images/*" -x "./upload/*"
将所有后面的命令行变量看作文件名，即使这些变量以减号"-"打头。 可用这一选项处理以减号"-"打头的文件名， 例如：bzip2 -- -myfilename.